Augmented Reality Archives | Morai Logistics Inc.
Augmented reality (AR) and virtual reality (VR) are ‘revolutionary’ emerging platforms that are changing the game for supply chains. From reducing cost to improving efficiency and accuracy, AR/VR could significantly impact the way orders are processed and shipped. The Global Augmented and Virtual Reality market is expected to reach ‘209.2 billion U.S. dollars by 2022’. With the ability to enhance any version of reality, this technology could change the way we move product from point A to B. On the retail side, AR/VR is enabling customers to engage with products and their features without even stepping foot into a store. It also provides personalized experiences through the creation of ‘virtual fitting rooms’ and ‘virtual maps’. From a marketing and advertising perspective, there is a considerable amount of value that comes from the creation of ‘VR- and AR-powered campaigns’. It provides companies with the opportunity to give their consumers a real-time experience with their products. In addition to machine learning and predictive analytics, AR/VR technology is also a game changer for the supply chain and logistics industry. From improving training and education, to ensuring a ‘cost-effective, fast and error free’ shipment lifecycle, there are significant benefits. 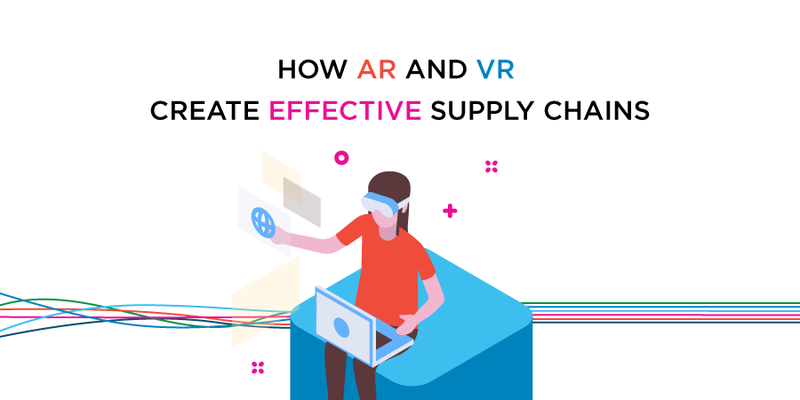 This article explains the technology behind AR/VR and uncovers how supply chains can use this platform to improve their processes. Although AR/VR has become popular in the digital world only recently, the concept behind augmented reality dates back to 1957. Cinematographer, Morton Heilig, created the first ‘attempt at adding additional data to an experience’ known as the Sensorama. Almost four decades later in 1990, researcher Tom Caudell, creates the term we refer to now as augmented reality. Augmented reality combines real and computer-based scenes and images to deliver a unified but enhanced view of the world. Virtual reality takes the experience once step further for users by immersing them in a ‘fully artificial digital environment’. Rather than simply enhancing a version of reality with images, they can actually move and hear. VR applications are also compatible with smartphones, which provides consumers with new and convenient ways to shop nd interact. With the ability to create accurate and immersive versions of reality, this technology provides the opportunity for supply chains to improve their processes and operations. As the expectations of on-time deliveries, efficient service and personalized customer experiences increase, there is a need for more supportive technology. 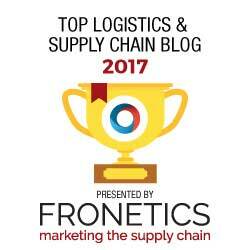 According to Forbes, AR/VR help combat the varying complexities facing the supply chain and logistics industry today. As mentioned, this is a cost-effective solution that could also contribute to creating ‘fast, and error free’ shipment lifecycles. Provides real-time information on ‘manufacturing facilities, distribution centers, and warehouses’. Delivers products on-time by providing the best transportation routes. Reduces the possibility of damage by providing detailed information of all packaging and contents to improve transparency. Reinforces security by providing drivers with ‘facial recognition technology’ to confirm customer verification. 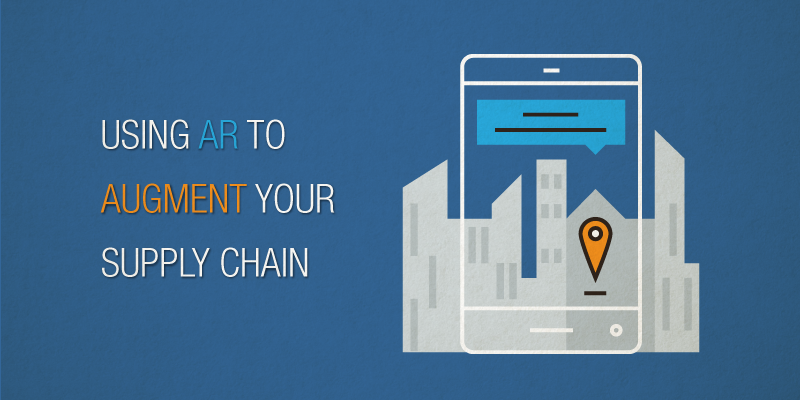 Mehdi Miremadi, Partner at McKinsey & Company, states that this technology creates ‘business value in supply chains’. 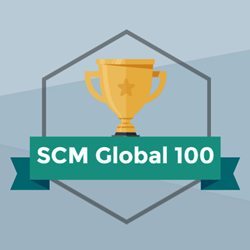 In addition, statistics show that order fulfillment saw a 30% – 40% improvement last year, while productivity and workflow management also progressed. Senior Principal Analyst at Gartner, Tuong Nguyen, also supports this technology, as he believes AV provides effective training and onboarding to enhance worker capabilities. The decision to apply an emerging platform to any organization is daunting. There is a lot of consideration that must come with the investment and integration of new processes. 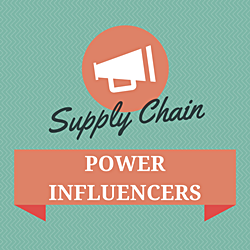 However, when applied to supply chains, experts are in favour of AV/RV. Last week, we discussed how augmented reality technology (VR) had begun shaping innovative new ways to improve the operation of warehouses and supply chains overall. This week, we would like to take some time and focus on virtual reality (VR). The applications for VR are already varied. Military services have been using it in training for a number of years, it’s been used for architectural and urban design, and for the treatment of phobias. However, video games are still where this technology will likely be the most commercially viable. Video games have evolved a great deal since the days of Pong and the original Super Mario Bros. In more recent years, extremely complex concepts have received game adaptations that have allowed someone not versed in the relevant fields to gain an understanding of the topics without years of study. Two notable examples are Foldit and No Man’s Sky. Foldit is an online puzzle game about protein folding. User submitted solutions have led to important leads in biological innovations and the fight to eradicate deadly diseases. The purpose of the upcoming No Man’s Sky is rooted in entertainment, but the way it’s game world (universe really) was created is fascinating. The small team of programmers used artificial intelligence and procedural generation to self-create an entire galaxy with over 18 quintillion unique planets complete with their own geography, ecosystems, flora, fauna, and structures) for users to fully explore. The scope of the game has given some who have tried the demo a fuller appreciation of the size of the cosmos, and understandably a bit of existential angst. VR technology, used in a similar to the aims of these games could present two unique possibilities for the logistics industry. The No Man’s Sky approach is also another possibility that the logistics industry could wherein VR would be used to give customers a fuller, more comprehensive appreciation of all the moving parts that are involved in a supply chain. 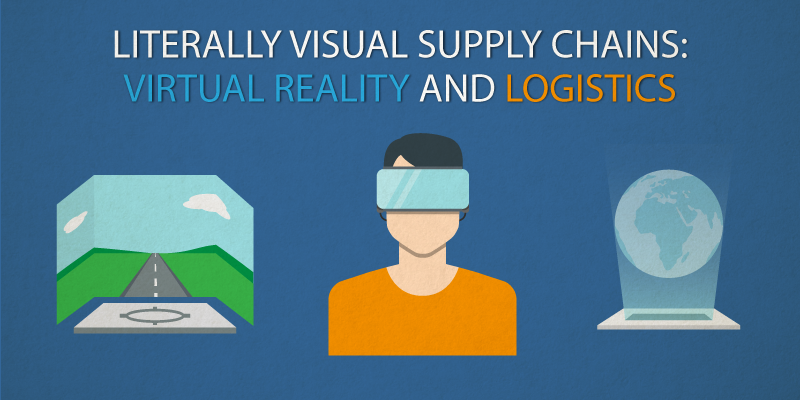 Basically, granting customers the ability to literally visualize the supply chain. McDonald’s UK is trying something similar to this with its ‘Follow the Footsteps’ campaign it launched this year. With it, the company aims to inform the public about the work that goes between the farm to your plate by allowing users to experience a variety of jobs (from tractor operator to cashier) all along the McDonald’s production chain through the Oculus Rift. It might a few years before VR is fully embraced in the commercial sphere, and probably a bit longer before it is embraced by the logistics industry. However, looking at other industries that have adopted the technology, it’s clear that VR will be a key area of potential growth in the 21st century. If you’ve been to any public places the last two weeks, then you’ve seen children and adults wandering around pointing and swiping at their phones. This is because of the new app Pokémon Go, an augmented reality game where people hunt, capture, and battle adorable creatures that they can find just by walking outside. The app has been out a short awhile, but has already reached meteoric levels of popularity as, just a day after it was available, it was already installed on more US Android phones than Tinder. The application of augmented reality (AR) technology isn’t limited to gaming. Aeronautics and automotive manufacturers have been implementing AR with heads-up displays for years. Although, it is only now that the technology is seeing more commercial use as wearable AR technology is becoming more affordable. In fact, AR is predicted to become a $90 billion industry by 2020. Even for just next year, the value of AR is estimated to be over $6 billion with industrial sector (manufacturing, distribution, and logistics) seeing the largest utilization of the technology. “VR is complete immersion in a virtual world – with no outside stimulus. VR is much more common and is mostly used in gaming and entertainment. AR is technology that alters what the wearer sees in his/her reality” writes blogger Kristi Montgomery in this TalkingLogistics post. The alterations to what a user perceives can be made to motivate towards a behaviour, such as with Zombie, Run!, a phone app that turns real-world running into a game, or it can provide useful information real-time like in the case of DHL’s successful pilot project which tested smart glasses and augmented reality in a warehouse in the Netherlands. DHL recently published its results for the pilot program it conducted in collaboration Ricoh and Ubimax which had staff in a Netherlands warehouse be guided by graphics displayed on a smart glass. The aim of ‘vision picking’ was to reduce errors and increase efficiency which the project did very successfully as it resulted in 25% efficiency increase during the picking process. Because picking tasks accounting for 55% to 65% of the total cost of warehousing operations, the potential value of that the efficiency adds to picking is huge. Given the value that AR can add to a supply chain, it is no surprise that DHL is not the only logistics company that is trialing the technology. The AIMIA Institute described another example in this post “In the middle of last year, Active Ants reported similar results from when they equipped their stock pickers with Google Glass. Active Ants used Google Glass with a custom-built app and they saw an efficiency increase of 15%”. There are still several barriers to the wide-spread implementation of AR technology in logistics to be sure, but it is clear that there is also lot of potential value in it as well. As the cost and efficiency of the technology evolves, so will the innovative changes that VR can offer to supply chains.